In recent years, the last word on the dangers of eating mercury-rich fish seemed to be the government's well-publicized 2004 advisory, which recommended against eating too much higher mercury fish like white tuna, but whose warning applied only to pregnant or nursing women, women of childbearing age and young children. Though mercury overload could damage the still-developing nervous system of a baby, the scientific consensus was that for the average Joe taking in the average amount of fish, heavy with metals or not, it posed no undue threat. But on Wednesday a New York Times investigation of local restaurants and groceries found that tender slices of tuna sushi being served up all over the city were "tainted" with exceedingly high levels of mercury  so high that eating just six pieces a week would send the average-weight adult over the EPA's acceptable weekly level of mercury intake over a period of several months. All this time, it seems, the average Joe may have been ingesting more harmful mercury than he thought. So, what is a tuna-lover to do? TIME asked the opinion of Dr. Dariush Mozaffarian, assistant professor of medicine and epidemiology at Harvard Medical School and the Harvard School of Public Health, and co-author of one of the most comprehensive studies to date on the impact of fish consumption on human health. TIME: Should we stop eating tuna? Mozaffarian: No. 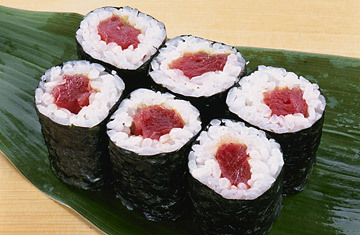 Overall, the dangers of not eating fish [including tuna] outweigh the small possible dangers from mercury. The recommended amount for adults is to eat one or two servings of fish per week  but probably only 10% to 20% of the population in the U.S. eats sufficient fish. The real danger in this country, the real concern, is that we're not eating enough fish. That is very likely increasing our rates of death from heart disease. What are the dangers of consuming high levels of mercury? In adults who eat fish with high levels of mercury very frequently  like, every day  there have been case reports that it causes neurologic symptoms, like sensory disturbances and imbalance. Again, that's in people who are eating fish very frequently and eating fish that are generally high in mercury. But the symptoms are temporary; they go away if you stop eating mercury. Really, the potential concern for long-term exposure at these levels is not with neurologic effects, but with cardiovascular effects. Two of five studies [that looked at the relationship between mercury and cardiovascular disease] suggested that at levels of mercury seen with typical consumption in Western populations, there might be cardiovascular effects long-term [increased risk of heart attack with higher levels of mercury]. But three of the five studies have not shown that. But both those two studies showed that fish consumption was still protective against cardiovascular disease. Overall, the evidence indicated that people who had higher mercury levels had less protection than people who had lower mercury levels. What those studies suggested is that mercury might lessen the benefit of fish [and omega-3 fatty acid] intake, but they didn't suggest that fish intake was harmful overall.